Commercial buildings like shopping centres, airports and call centres frequently feature large glazed atria and glass openings, both vertical and horizontal. Although this makes for attractive, airy, modern buildings, it brings with it problems associated with solar glare and heat gain. 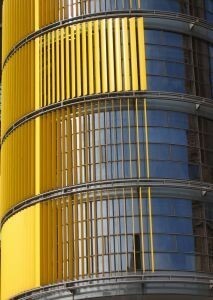 These need to be addressed so that the building remains as comfortable and appealing to work in as it is to look at. 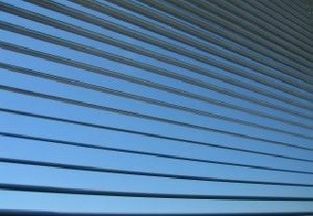 The extrudability of aluminium means that it is easily formed into custom shapes, which is why it is ideal for the internal and external solar shading systems that this type of application calls for. It is also light in weight which makes installation easier. 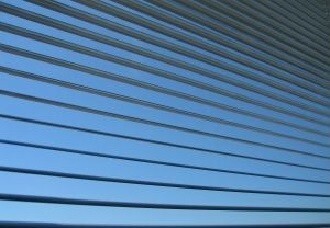 Solar shading solutions need to be reliable and aesthetically pleasing to the end user but also easy and quick to assemble for the installers which means aluminium extrusion is an ideal selection. 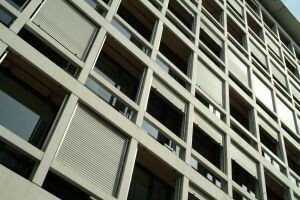 For external systems, commonly known as brise soleil, aluminium is an excellent choice as it offers a high level of corrosion resistance compared to steel which will rust.